I’ve never made tomato soup before and I had a real craving for it yesterday morning, so I thought I would give it a go! 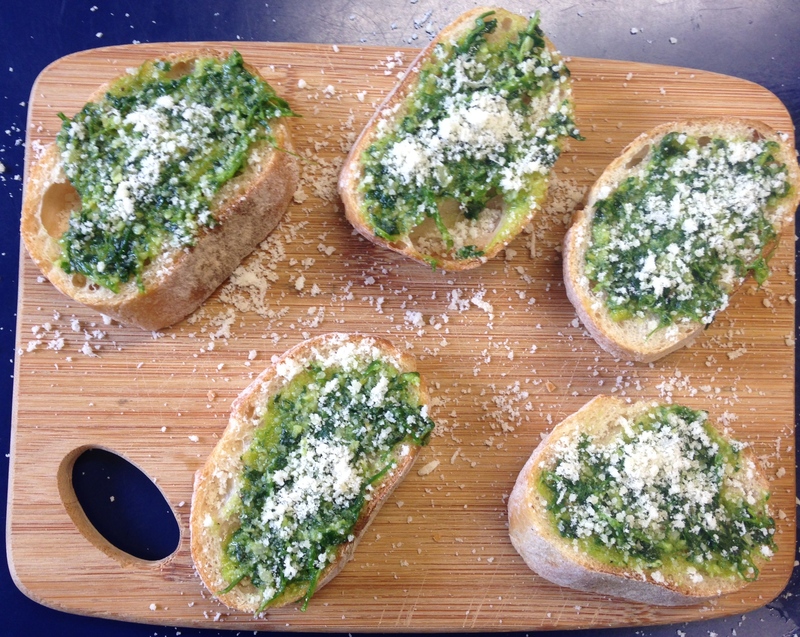 I also decided to try and make it a little more interesting than just having ordinary bread by making some little pesto and parmesan toasts, with homemade garden herb pesto! I had loads of herbs in my fridge that were a little past their best, so I though this would be a good way to use them up instead of letting them go to waste! If you don’t fancy making the pesto, feel free to use ready made. 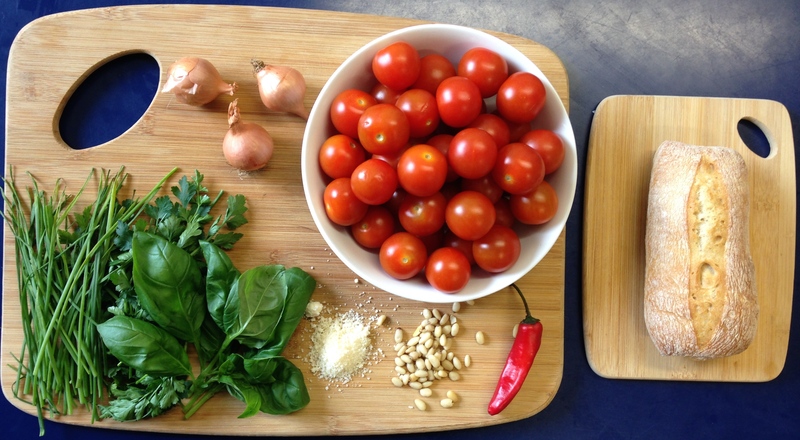 You could even use chilli pesto or sun dried tomato for a nice deviation from the recipe. Preheat the oven to 170 degrees. Start by tipping out all of your tomatoes onto a baking tray and covering with a little olive oil, salt and pepper. Just before they go in, drizzle with a little bit of balsamic vinegar for extra flavour. 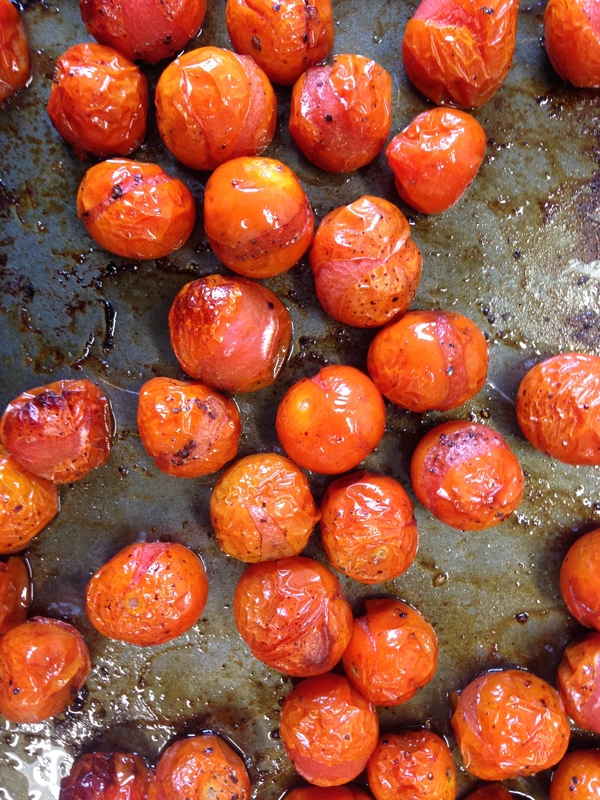 The tomatoes should roast nicely for about 30 minutes but keep checking on them regularly to give them a shake and make sure they aren’t catching. While the tomatoes are cooking, roughly chop your herbs and add to a small chopper or processor. Also add the pine nuts, parmesan, olive oil and some black pepper. Use the chopper/processor (I’ve linked the one I use at the end of this post, it’s really affordable and useful for chopping onions too!) to blend the ingredients together until they produce a soft, dropping consistency. 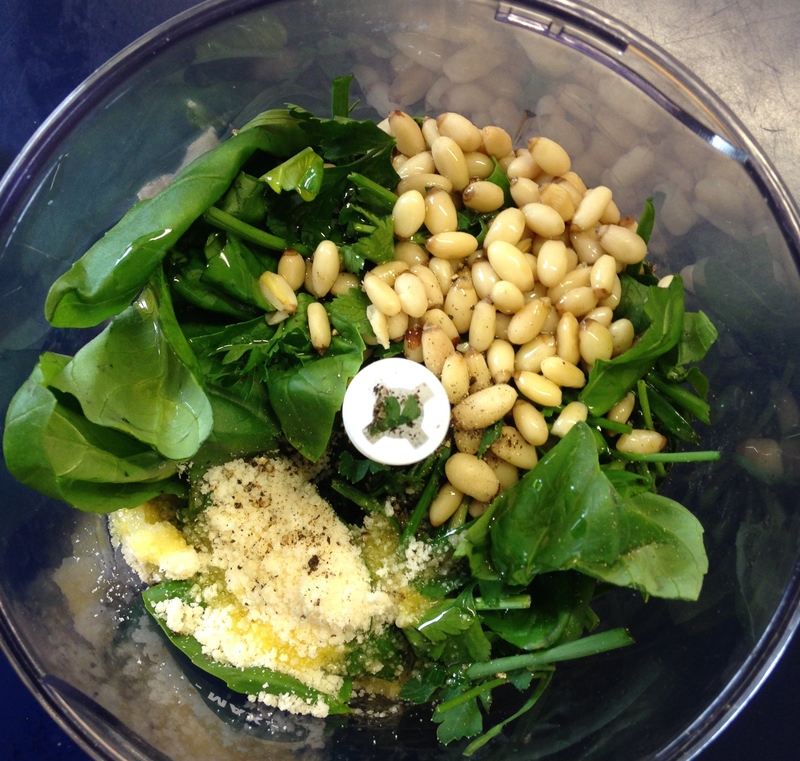 I tasted my pesto and decided that it needed a squeeze of lemon juice, so I added the juice of about half a lemon too. Now roughly chop your shallots and chilli. Put a large saucepan on a medium heat with 1 tablespoon of olive oil and once the oil is hot, add the shallots and chilli to the pan. Fry until the shallots are soft, then take the tomatoes out of the oven and add to the pan. Stir for a few minutes then add about a pint of water and crumble in the vegetable stock cube. Simmer for 30 minutes, stirring occasionally. While the soup is simmering away, slice up your ciabatta and toast in the oven for a few minutes each side. Then spread with a little bit of the pesto and sprinkle parmesan cheese on top and return to the oven for a few more minutes. While the toasts are in the oven, take the soup off the heat and use a stick blender (this is available in the same set that I got my mini processor in) to blend the soup until smooth. Add salt and pepper to taste then ladle into a bowl and top with some cracked black pepper. 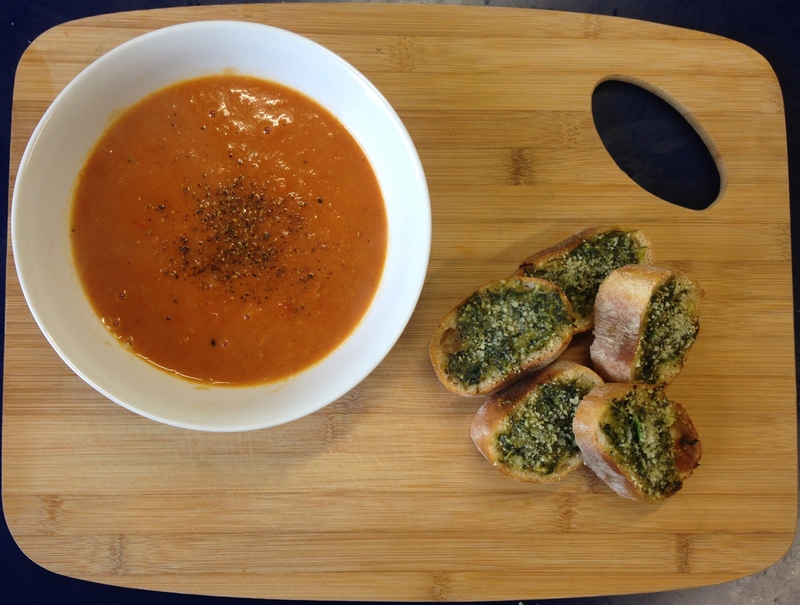 If you don’t fancy having bread, you could stir the pesto through the soup for some extra flavour!